The contents of the Halo 5: Guardians Collector’s Edition were first revealed about a month ago. One detail that managed to cause confusion was a digital download code along with a steelbook case. This week, 343I have answered fan feedback by clarifying it only includes a digital copy, but they are working on a way to exchange the digital code for a physical disc. The Collector’s Edition releases one week early to allow early installation. This could give them a window to ship discs before release, but they haven’t said how they plan to address the issue yet. We’ll keep you posted when the details come out. Several new things coming from Bungie this week. DeeJ now has a new partner in crime, named Cozmo. They will be working as a team for community relations from this point forward. Also announced was a new update coming in September to work on balancing. Way too many details to list here, but we’ll cover some major points. – Auto Rifles will be getting a bit of a buff to make them competitive again. – Ice Breaker ammo recharge has been increased to 8 seconds instead of 5. – Black Hammer’s White Nail perk pulls ammo from your reserves instead of infinite ammo. – Thorn’s Mark of the Devourer perk is getting cut down in damage, but stacks per shot hit. – Gjallarhorn Wolf Pack rounds will inflict less damage. If you want to see the full list, which is worth a read if you play the game, you can see it all here. 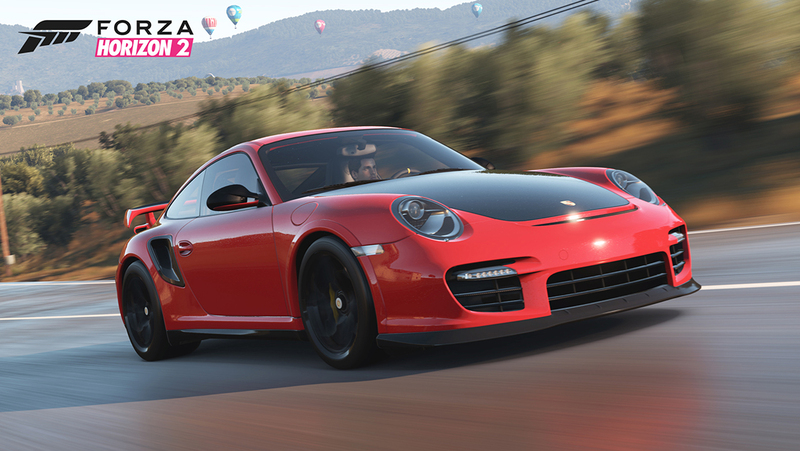 Forza fans are getting two new Porsches in Horizon 2. Best of all, they’re free! Whether you own the original Porsche pack or not, a new bonus pack is available to download for free until July 24th. Be sure to pick them up as soon as possible because after the 24th they won’t be available at all. The catch is you have to find the article “Two free Porsches!” in the Forza Hub app on the Xbox One to access the download screen. No new achievements have been added, but it will unlock three from the Porsche pack if you don’t already own it. Arkham Knight’s first story DLC has arrived, depending on your purchase. Season Pass owners have had access since the beginning of the week, while everyone else has to wait until the 21st. This DLC is a prequel to Arkham Asylum from the perspective of Batgirl. Joker has kidnapped your father, Commissioner Gordon, and it’s your job to get him back. The initial reaction seems to suggest it’s a short story, but that’s reasonable since it only costs $7. To see what you can expect checkout the launch trailer below. This week had some very unexpected news that sent the gaming community into shock. Nintendo President and CEO, Satoru Iwata, has passed away. He was only 55. Mr. Iwata was a highly respected man in the game developer community. He was passionate for games and always pushing them forward. Taking his position in 2002, Mr. Iwata turned the company around from the lacking success of the Gamecube with the release of the DS and Wii several years later. He was also the first President of Nintendo not related to the founding family. Image courtesy of Game Informer. The administration announced this week that three members of staff were stepping down. Dark Infinity, SnakeDoctor214, and Flatty have joined the Exalted Honor Guard after years of service to the group. Also announced was the promotion of NeoRman69, wrcfan, SpecOp3, and Stig Assassin to new staff positions. The full announcement can be read here. If you smelled smoke this week it was probably one of our members. The Hot Seat came back with a spotlight on MrSerrano1105. If you want to know more about him then check out the full interview. Neo is hosting a Raid night tomorrow and there’s still a couple spots left. If you need to beat Atheon or Crota on hard to finish your triumphs then be sure to sign up! Tagged Batman: Arkham Knight, Forza Horizon 2, Halo 5: Guardians, Nintendo.